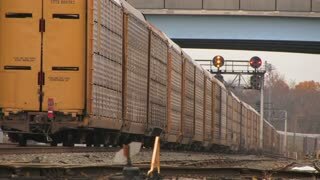 Freight Train passing through Station. 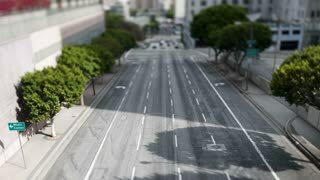 Tilt Shift Timelapse. A freight train passes into the distance. 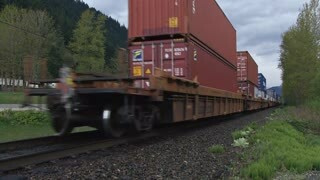 Freight trains at a station. 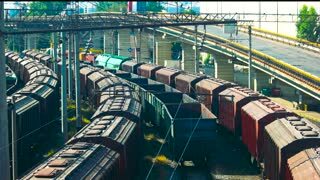 Aerial view of freight trains. 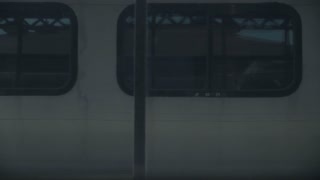 Shooting from a moving train. In the opposite direction on the neighboring railway passing freight train.